Create a project using purple, black, orange, white. Are you ready to get your paws inky with us and play along to win a prize? We will chose a RANDOM entry to win a $20 store credit to our Newton's Nook Design online shop! We will also highlight our favorites from each challenge the following Monday, so all entries have a chance to be featured on this blog! You have TWO WEEKS to play along - Deadline to enter is Friday, October 6, 2017 at Midnight CST. The winner and DT favorites will be announced on the NND blog the following Monday. Are you ready to play along and get your paws inky? 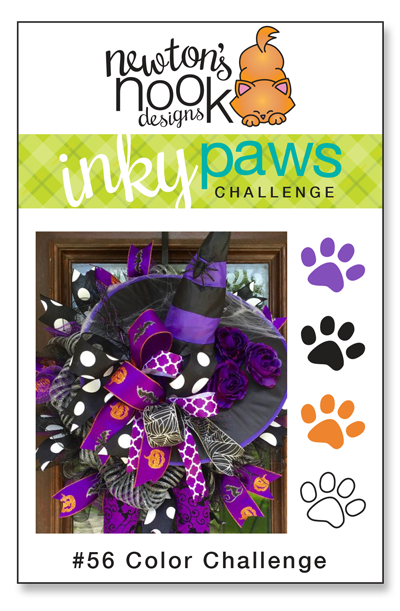 Are you ready to play along and get your paws inky? 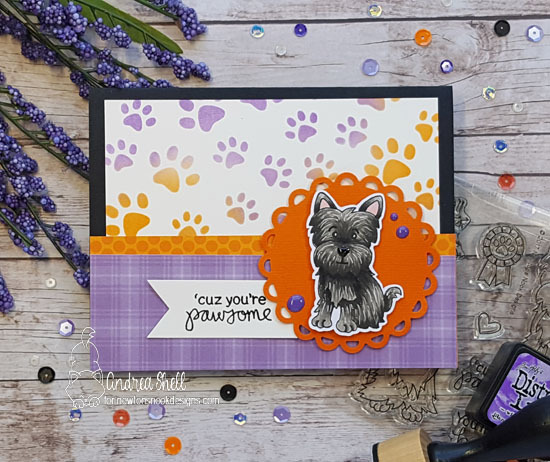 Grab your favorite NND stamps to play along and make sure you check the challenge rules page before you link up your project. Need to get inspired? See what our Inspiration Team created with this challenge! 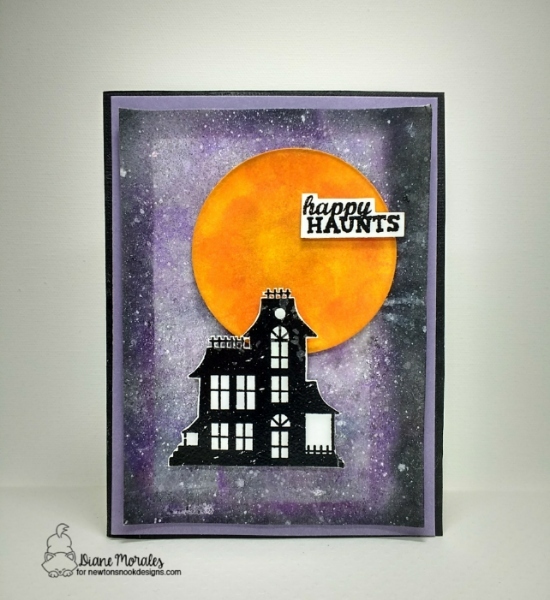 Diane Morales distressed background with the full moon make for a very spooky setting for this haunted house from Spooky Street! I just love how Diane creates this scene with the challenge colors! Spook-tacular! Zsofia Molnar's starry background goes perfectly with Newton's Perfect Pumpkin! I love her attention to details--the bats and spider in his web! Seriously cute! 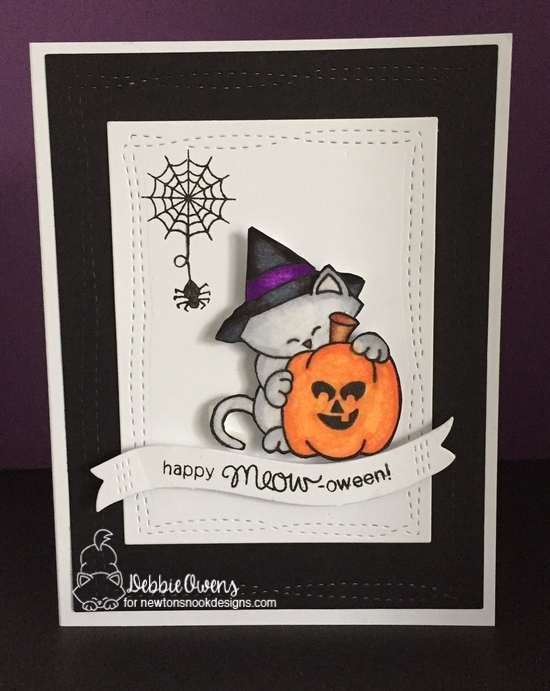 Debbie Owens creates a festive CAS card featuring Newton's Perfect Pumpkin. 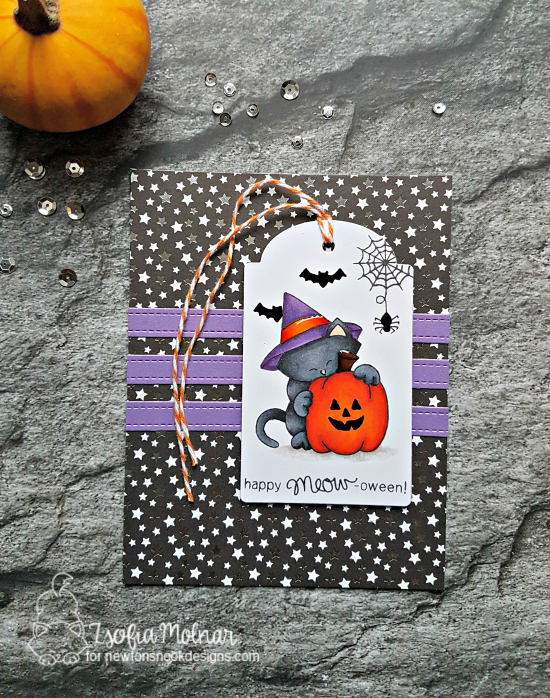 Just love the clean, crispness of this fun card! 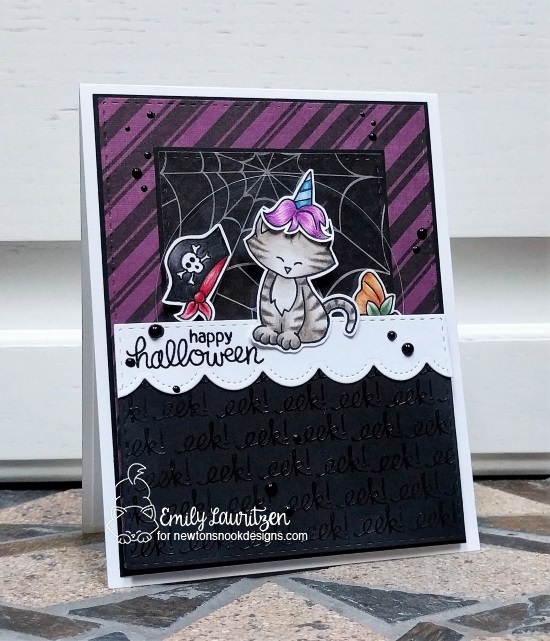 Emily Lauritzen showcases the new Newton's Costume Party set with style. She created a spinning wheel to showcase the different outfits in which to choose from! Be sure to check out her blog! Andrea Shell colors this darling puppy from Terrific Terriers amazingly! Just love how sweet he looks. Then she combines the challenge colors using Pawprints stencil. Love how you used them, Gail! Such great inspiration and a fun color challenge! Great cards!!!! I was sooooo busy at work and didn't get a chance to complete one! Looking forward to the next challenge! It's hard to have any complaints about this event space NYC. It's easy to get a drink since they actually keep enough bartenders working at once, and you'll almost always find a place to sit. I love the vibe, the area, the people and the food at this place.